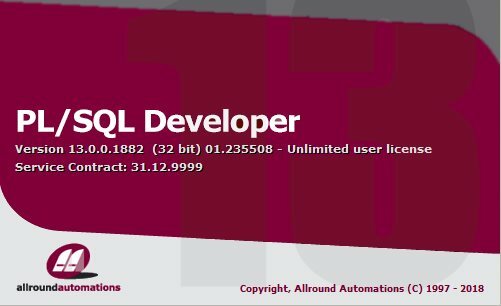 Change window type could add an incorrect Unicode BOM character to the text if file encoding preference is set to "Always UTF8"
Welcome to the PL/SQL Developer 13.0 Beta information page. We would value your participation in this beta test and invite you to give this new version a try. 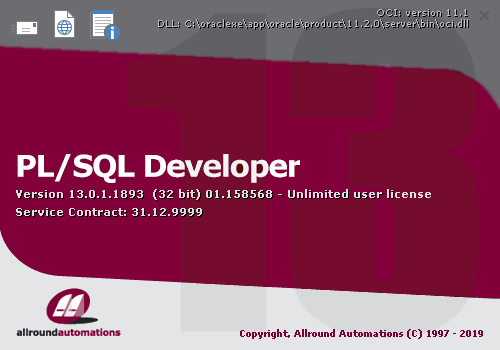 If you are interested you can download the PL/SQL Developer 13.0 32 bit beta version or the PL/SQL Developer 13.0 64 bit beta version. Both are time-limited until December 31, 2018. The setup program will install the 13.0 beta in a separate directory from any previous release you may have installed, so that both can coexist on the same PC. 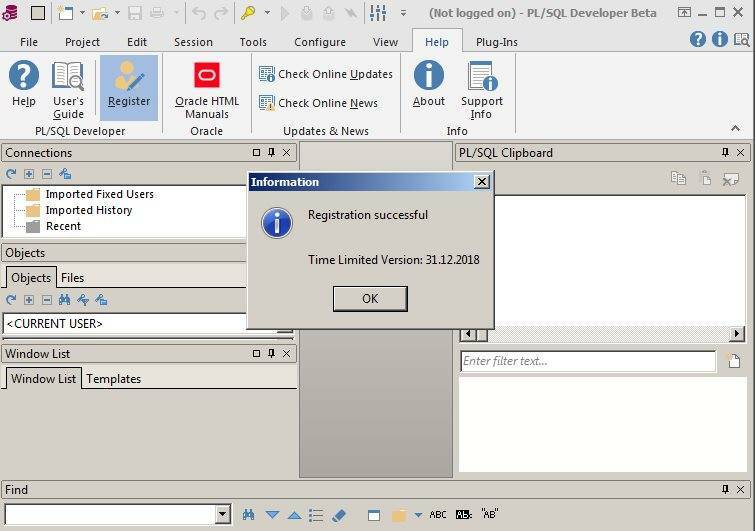 PL/SQL Developer 13.0 will store its preferences and settings in a separate location from previous releases. Preferences will be stored in directory "%APPDATA%\PLSQL Developer 13" (e.g. "C:\ Users\ <User>\ AppData\ Roaming\ PLSQL Developer 13"). Other settings such as window sizes, recently used files and so on will be stored in the registry in "HKEY_CURRENT_USER\ Software\ Allround Automations\ PL/SQL Developer 13"). When first starting PL/SQL Developer 13.0, preferences and settings will be copied over from the previous release if present. If necessary you can install both the 32 bit and 64 bit version. They will be installed in separate directories and are separate products under "Programs and Features" in the Windows Control Panel. All source file formats are fully compatible with previous releases, both for the 32 bit and 64 bit version. * Function key added for "Editor: Sort Code Assistant"
* Selection indent and unindent would take too many steps to "undo"